On June 11th, Lithuanians had the chance to get closer to refugees through firsthand witness and a 3D movie experience. 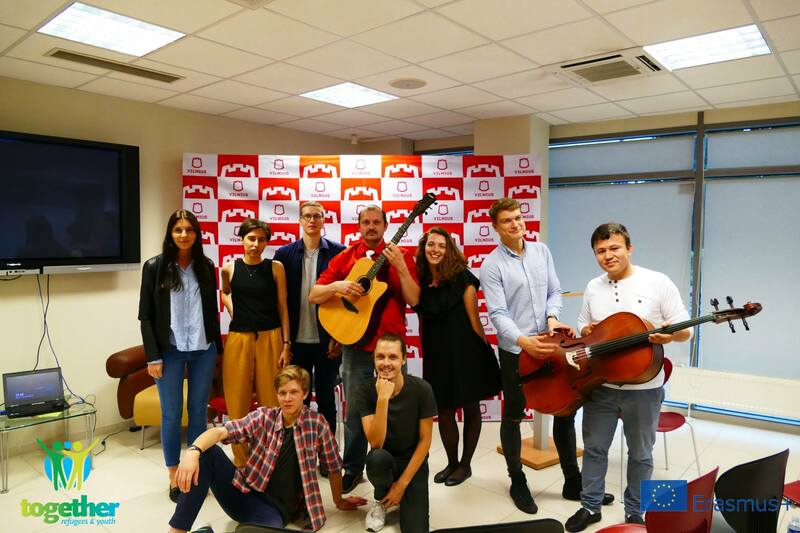 The successful event took place in Vilnius Information Youth Center, where more than 30 people joined to put themselves into contact with refugees' reality. The first of our guest speaker was Justina Elena Kraučelytė working by VA Caritas Užsieniečių integracijos programa. Justina broke the ice by telling the audience about her personal experience in a refugee reception center in Belgium. Then it was Yevgenii Titov's turn. Yevgenii escaped his homeland, Russia, because he felt he was in danger, sice he was a journalist by Novaja Gazeta, a free and independent newspaper. Yevgenii explained why he had to flee from Russia and how he's managing to survive in Lithuania (he's provided just with 10euros/month for food). Strings Of Earth, a lithuanian young band, helped to make the whole athmosphere pleasant. Did you miss the event? No problem, you can have a look at the Live video! 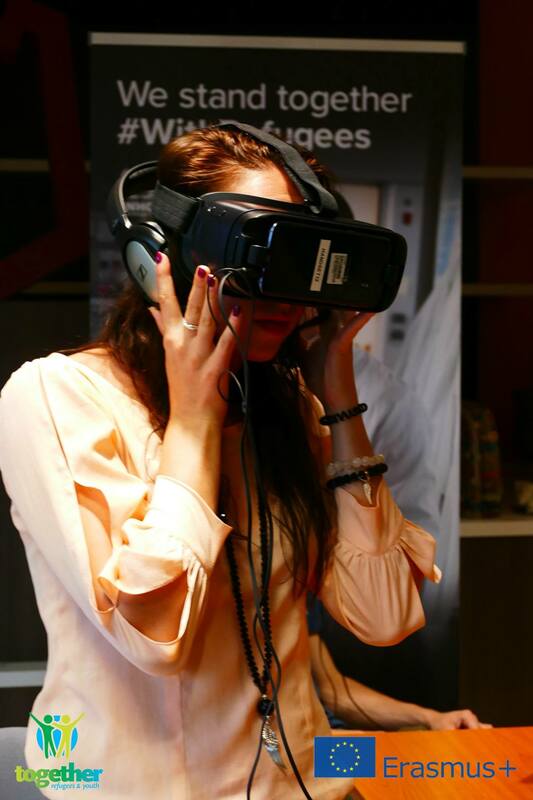 UNHCR allowed the participants to experience refugee lives through 3D technology. With the help of special glasses and hearphones, people were thrown into refugees' realities: Clouds of Sidra was the perspective of a 12 years old girl from Syria living in a refugee camp in Jordan, while The displaced told the stories of three children (from Ukraine, Sud Sudan and Syria). 3D technology allowed participants to feel like they were in the movie themselves.The experience was touching, but successful: everyone wanted to try it.